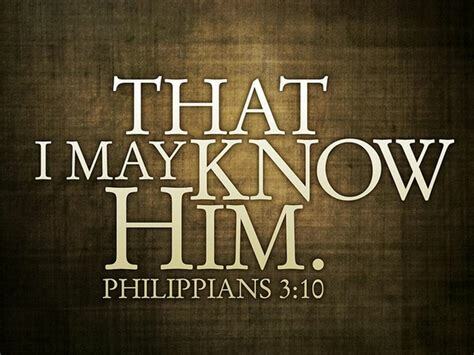 Paul encourages the Philippians to worship God and have no confidence in their flesh. He gives a religious rundown of his attributes prior to salvation and refers to himself as being a righteous man, “blameless,” which was, useless or rubbish, compared to the surpassing value of knowing Jesus Christ. To know Christ was not an intellectual knowledge but it was to know Him through the experience of faith, “For God, who said, ‘Light shall shine out of darkness,’ is the One who has shone in our hearts to give the Light of the knowledge of the glory of God in the face of Christ” (2 Corinthians 4:6). In trusting Christ, Paul was turning his back on Judaism and Phariseeism and then he literally, “suffered the loss of all things,” to gain Christ. 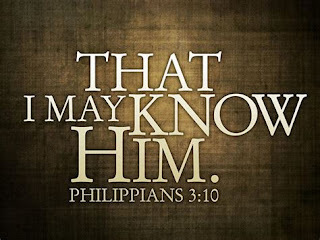 Paul desired a sincere personal intimacy and deeper knowledge of Christ. He realized the Supreme power of His resurrection, and the intense sufferings Christ had experienced. Paul was willing to suffer loss for the cause of Christ exchanging death for life while expressing and demonstrating a passion for the Gospel to those who were lost. Are you resting in the hope of your salvation in a past event or in the power of the Gospel to convert sinners? Is your confidence in yourself because you think you are a good person? “All have sinned, and come (fall) short of the glory of God”(Romans 3:23). Does your life show distinct signs of a transformed life or are you living a false or dead faith (James 2:14-26)? I pray that you truly know Christ and are living the Christian life by faith so that others may see the light of Christ and bring glory to His name. Lord, may I put my confidence only in You.